Obituary for Clarence R. Horvath | Devlin-Rosmos-Kepp F.H. & C. S.
Clarence R. Horvath, 90, husband of the late Helen T. (DiGiuseppe) Horvath of Phoenixville, died Wednesday, February 6, 2019 in Seasons Hospice. Born on November 20, 1928 in Phoenixville, he was the son of the late Martin T. and Mary (Retner) Horvath. He attended Mason Street School and was a graduate of Phoenixville High School. 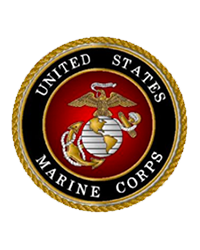 He enlisted in the United States Marine Corps and served during World War II, and Korea. He was a Draftsman at Hollingsworth and a Project Manager at Altemose Construction for many years. He was a member of American Legion Post 602, and a member of St Ann Catholic Church. Preceded in death by his sister, Dorothy Adams, and brother, Martin Horvath. Relatives and friends are invited to attend his Funeral Service at Devlin Rosmos Kepp & Gatcha Funeral Home and Cremation Services, 517 South Main Street Phoenixville, on Moday, February 11, 2019, at 11:00am. Burial will follow in St Ann Cemetery.